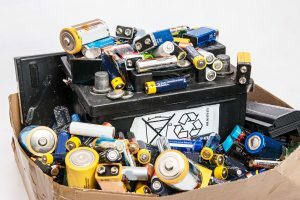 Cadmium can create batteries, solar energy, and bright pigments — but an employee’s overexposure to the substance on a worksite can have dangerous consequences. Employees in manufacturing and construction are at high risk for cadmium exposure, which can cause flu-like symptoms and even lead to cancer. Employers are responsible for keeping their workers safe by remaining compliant with OSHA regulation 29 CFR 1910.1027. In the checklist below, you’ll learn how to keep your employees safe under OSHA’s safety standards. Before you go through the checklist, it’s important to understand the dangers of cadmium poisoning. This highly toxic substance can cause adverse health effects even with little exposure. Short-term effects include: Flu-like symptoms, coughing, and chest pain. Longer term, cadmium permanently affects the respiratory tract and kidney function, which can lead to renal failure, cancer, and even death. The standards for cadmium regulation are strict, and rightly so, but there are simple methods to restricting exposure and performing all the necessary testing on your employees. Cadmium exposure is mostly likely to occur during the refining of metals, including: Electroplating, smelting, and metal machining. Employers are responsible for designating cadmium-regulated areas. These areas are formed when there is an airborne concentration of cadmium that is five micrograms or more per cubic meter of air — this is also known as the Permissible Exposure Limit (PEL). Once these areas have been identified, employees can work safely with the proper personal protective equipment (PPE). As previously mentioned, workers in regulated areas need the proper PPE. Cadmium most often becomes hazardous when inhaled, thus it’s necessary that employees wear air-purifying respirators. On cadmium exposed worksites, OSHA requires medical clearance and respirator fit testing. Those requirements ensure that employees are safe from airborne exposure to cadmium and other dangerous substances, and that they’re medically able to wear respirators on job sites. OSHA estimates that over 300,000 workers in the United States are exposed to cadmium every year. Besides wearing a respirator, there are several other ways an employer can reduce exposure. If there is a concentration of cadmium on a worksite, employers can isolate the source and use mechanical safety measures to ventilate the work area with fresh air to reduce exposure. The easiest way to reduce cadmium exposure is to limit the amount of time a worker spends in a regulated area. Under OSHA regulation 1910.1027 (l), employers are required to perform occupational medical surveillance testing on employees that are exposed to cadmium. 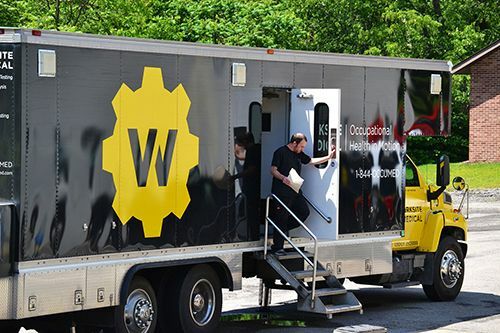 With our skilled medical staff and mobile medical units, Worksite Medical can help your company fulfill this requirement by performing all of the OSHA-required Medical Surveillance Testing at your job site. You’ve got the checklist. Now, it’s time to take the next step in creating a healthy work environment for your employees. For more information about medical surveillance testing for cadmium, contact Worksite Medical today. Are you looking for a way to keep your team safe, while also limiting risk and increasing production? Simplify your medical plan today. We help team leaders like you develop less disruptive, more convenient occupational health plans that comply with complex industry standards, thus creating a healthier, more productive workforce. Take control of your medical testing program, and make sure your team is within NFPA 1582 requirements.